Ultra luxury condos in key U.S. markets have created a wide price gap compared with lower-end properties, and Tim Lobanov of Florida developer Verzasca Group told Law360 in a recent interview he's "100 percent sure" firms will increasingly look to build what he calls affordable luxury condos to fill that space. Lobanov is managing director of Verzasca, based in Bay Harbor Islands, Florida, north of Miami Beach and between Miami and Hollywood. While Verzasca Group develops a variety of asset classes worldwide, one of its primary focuses of late has been Florida condos. When the firm started to look at the Florida market, it saw an opportunity to build condos "equal in quality" to many of the luxury properties in the area, but sell the residences for significantly lower prices. "We had our eyes set on South Florida for a while. We saw that there are gaps in what the developers are doing, what developers were building. Everything was sort of luxury," Lobanov said. "That's how it all came to be. An affordable luxury strategy that we follow with every project that we do." Verzasca Group has had success developing affordable luxury properties, a strategy that other developers are likely considering. Just last week, a purchase of a New York condo closed. "I just think that it's a great trend. Are we going to see the trend across the country? I'm 100 percent sure," he said. "Especially in cities like New York, San Francisco, where these gaps are present." The company has done two projects in Bay Harbor Islands and is planning a third in North Miami. 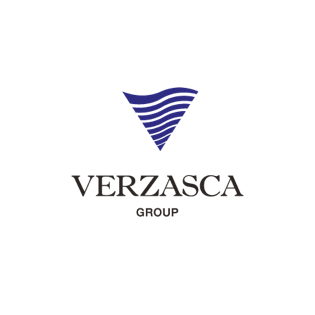 Verzasca plans to deploy approximately $700 million into such projects over the next 18 to 24 months. Lobanov said he expects that third project to sell for half of what projects across the street might cost. Luxury units on the coast might sell for anywhere from $1,100 to $1,300 a square foot, while Verzasca's newest development will likely sell in the $600 to $700 range. One of the ways to cut costs is to look for property just inland, as opposed to directly on the sand. By looking for property across the street from a coastal highway, for example, it's easier for such affordable luxury projects to make sense from a financial point of view, Lobanov said. "We're inland. Because of that, we're able to give our clients this very aggressive price point," he said. "There are tons of high-rises. All of the high-rises that are being developed are on the water." In an effort to curb costs, the company does significant due diligence, particularly in searches for architects with the right amount of exposure and experience. "We've hired very well-known architects for our third project. It will have great amenities, great architecture and amazing interior design," he said. "It is possible. I can't say it's easy." Many of the buyers of the company's first two projects actually lived in the units, he said. The third project, though, may see more investment-driven buying, he said. As prices of luxury condos in other U.S. markets continue also to shoot through the roof, expect other developers in other markets to latch onto the idea of affordable luxury, according to Lobanov. "It's definitely a trend that will develop across the nation," he said.